A SPECIAL ROCK NIGHT IN THE HEART OF CAMDEN. 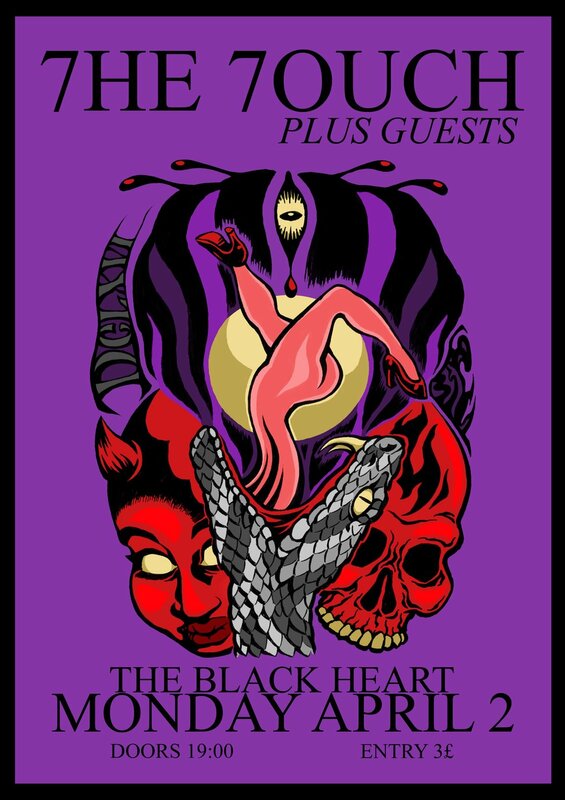 7HE 7OUCH ARE HEADLINING THE BLACK HEART FOR THE FIRST TIME. IT'S GOING TO BE A NIGHT FULL OF SURPRISES, BEERS AND GREAT MUSIC .